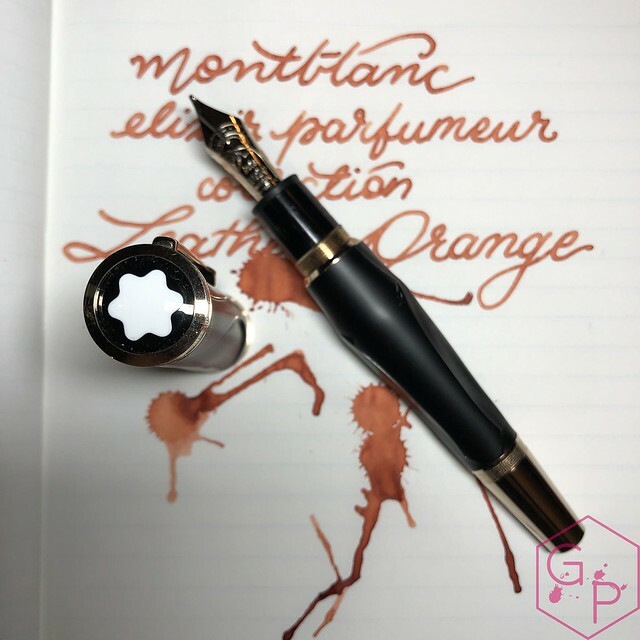 Montblanc products come at a premium. 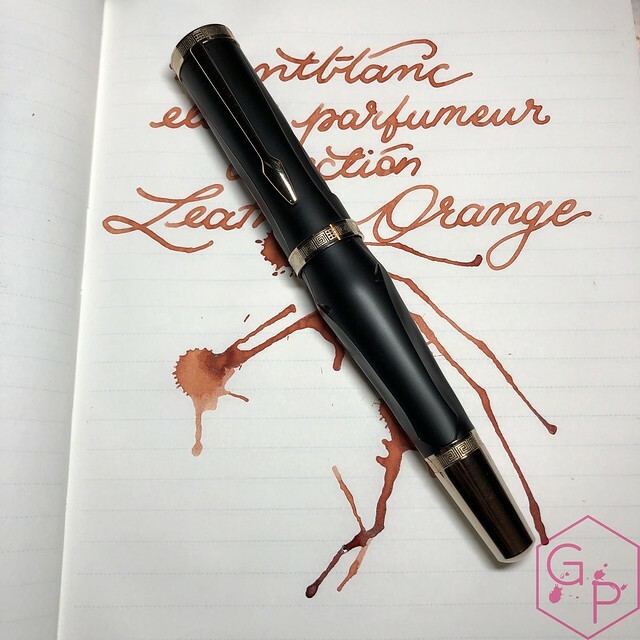 You may love it or hate it but a new fountain pen ink with the added twist of being "perfumed" warranted a look, at least so I could tell you what I think! 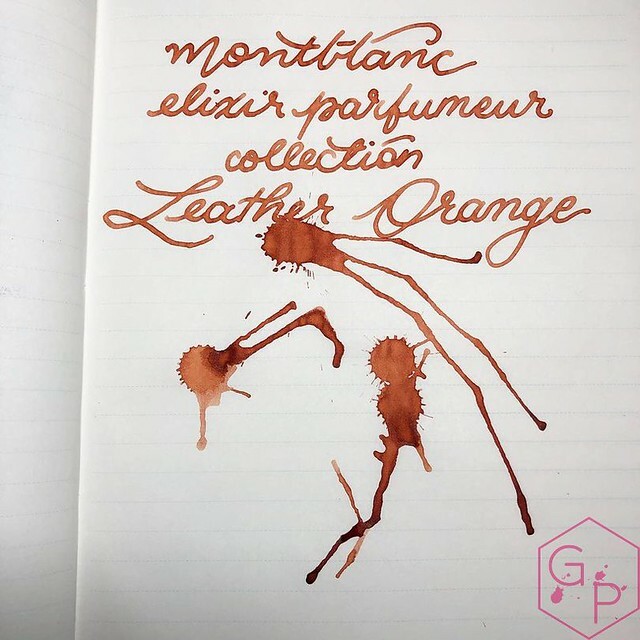 This is one of the three new Elixir Parfumeur inks in the collection: leather orange. 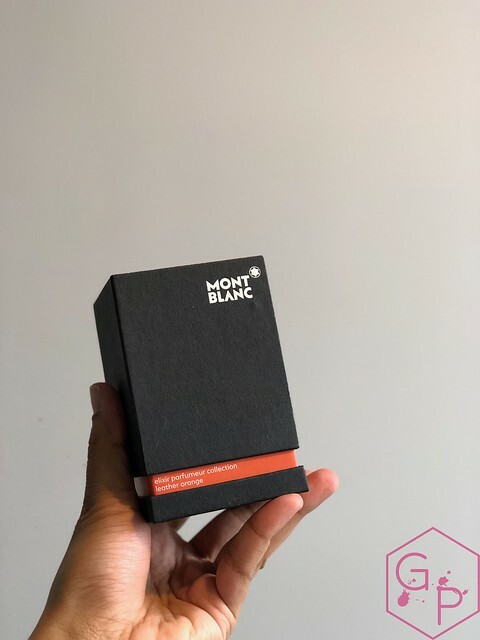 The Montblanc Elixir Parfumeur collection embraces exquisite unisex fragrances, as well as the use of oils and the finest plants, to express maximum intensity. 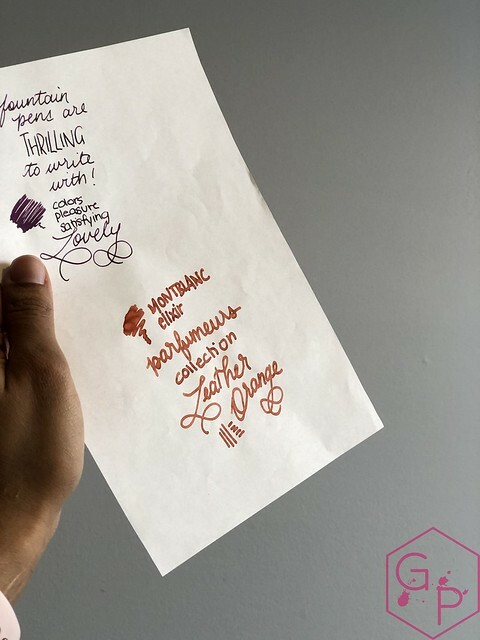 The scents stimulate emotions and memory through a reinterpretation of the most beloved raw material scents of all time. 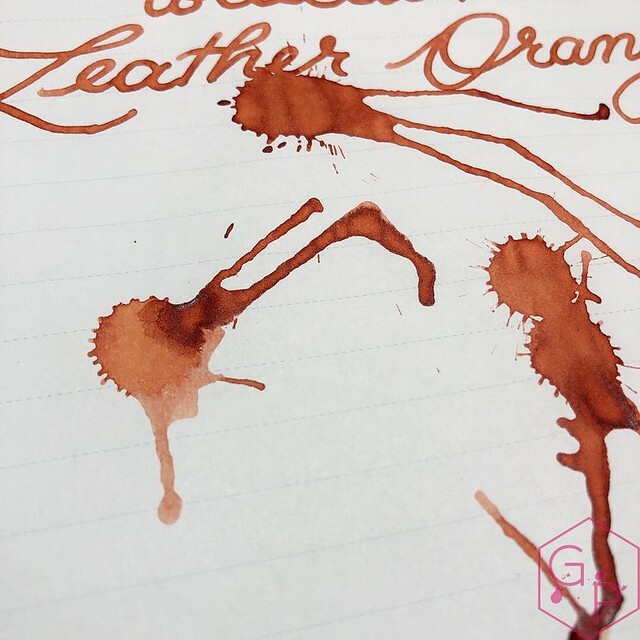 The scent of leather first came into fashion in perfumery in the 17th century around the time of Louis XIV. 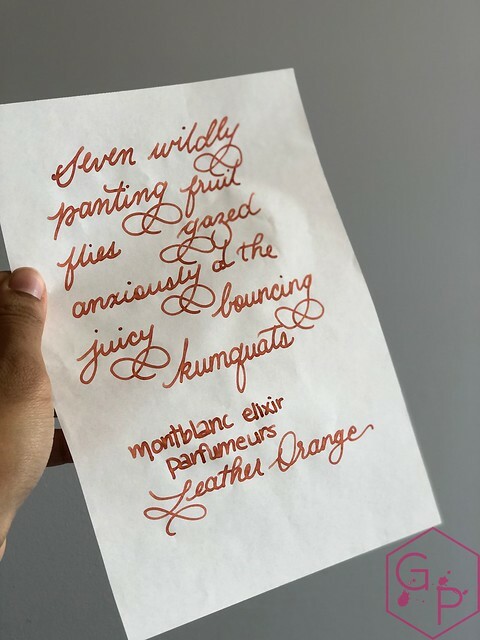 The perfume of the Elixir Leather ink evokes a wild yet exquisite moment through long musky and smoky notes, along with a tanned leather fragrance. 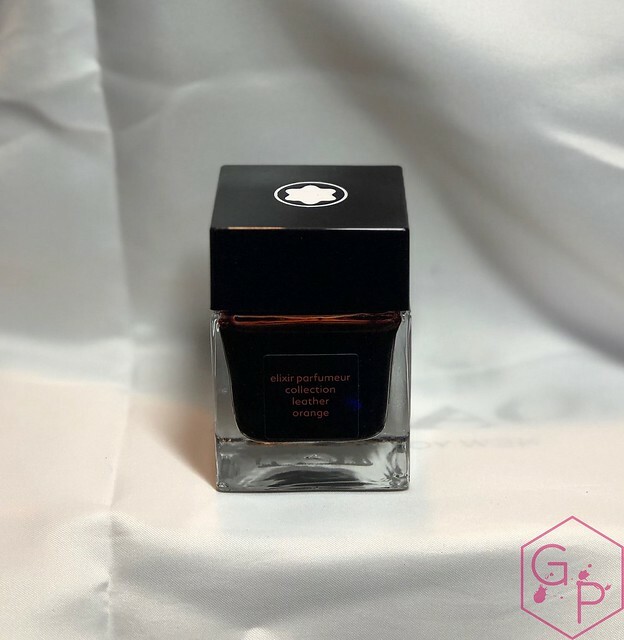 At about $90USD for 50 ml of ink, the price per ml is pretty high and it's quite the premium. 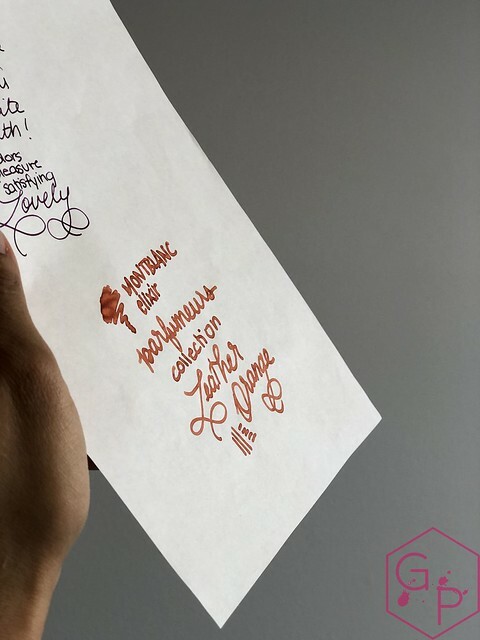 I love the smell of the ink - it's not so much scented as it is perfumed. 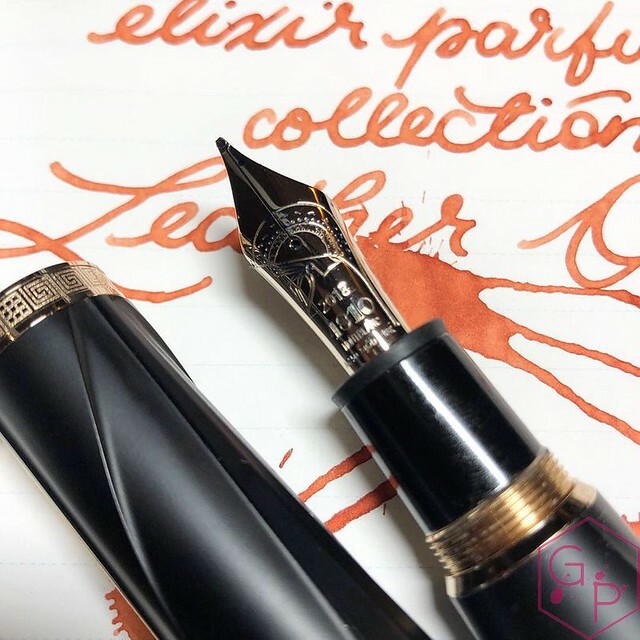 There is a difference once you smell a scented ink and a perfumed ink. 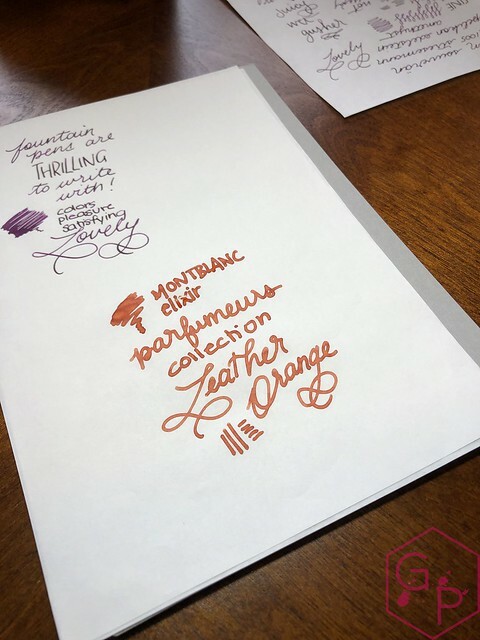 The ink smells quite delicious - smoky, musky, leathery, woody. 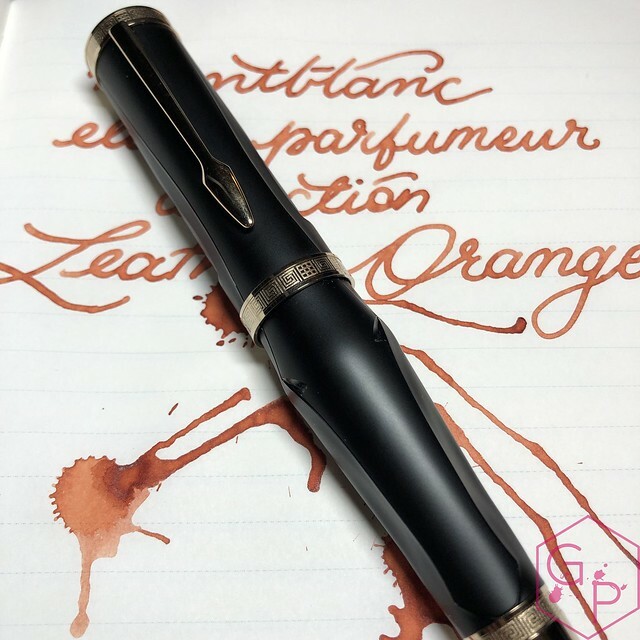 It does not make me gag like many scented inks do. I actually don't like scented inks because I hate how it lingers on the page and makes my pen reek. I like the smell of this stuff. Would I buy a bottle at this price? Definitely not. 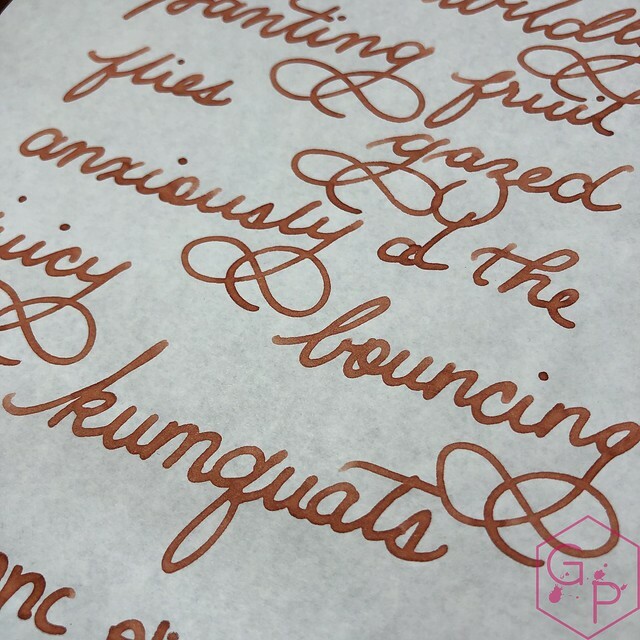 I really like the color because I like warm browns but I go through ink too fast to be ok with this. 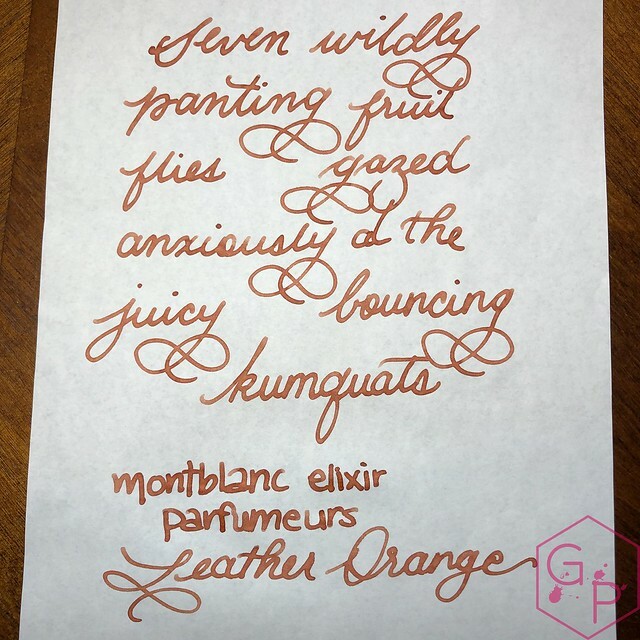 It doesn't have a lot of shading and I could not see much in the way of sheen. It's well-behaved, at least. How about you? What do you think of it?